Description: Rectangular; greenish background. 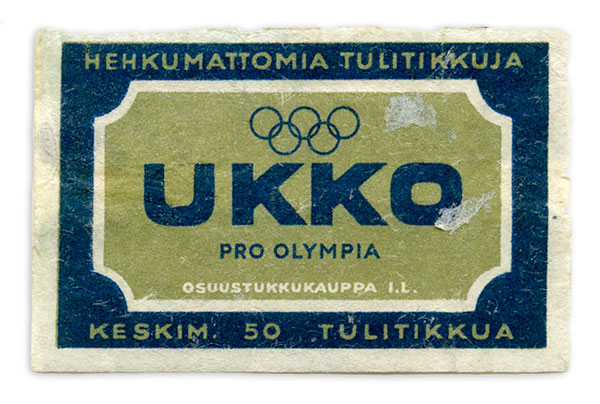 The texts: UKKO PRO OLYMPIA OSUUSTUKKUKAUPPA I.L. / HEHKUMATTOMIA TULITIKKUJA / KESKIM. 50 TULITIKKUA. The Olympic rings. Other information: Also printed without the Olympic rings.